Jaipur, 01 December: More than 450 enthusiastic bikers participated in the ‘Bike-a-thon’ on the occasion of the World AIDS day today. The bikers went from Jawahar Circle to Albert Hall and back. The event was organized by the Jaipur based NGO RAYS-Aasha ki ek Kiran. The Chief Guest on the occasion was Sawai Madhopur, MLA, Princess Diya Kumari. The rally was led by the Guest of Honour, Major Gen. G.S. Sangha, from South Western Command. Among the participants were bike lovers from the Indian Army, Dunes HOGS, Airborne Riders, and Insone Bikers. Students from various colleges of the city like SS Jain Subodh College of Global Excellence, Maharani College, Xavier’s College, Rajasthan University, Kanoria College and Pareek College also partook in the bike rally. It was gratifying that even executives of organizations like Genpact, Hotel Country Inn, and Hotel Holiday Inn also came forward to participate. Band ‘Project YUGM’ crooned hit numbers that added to the festivity of the event. A number of stunts were shown by Insone bikers. 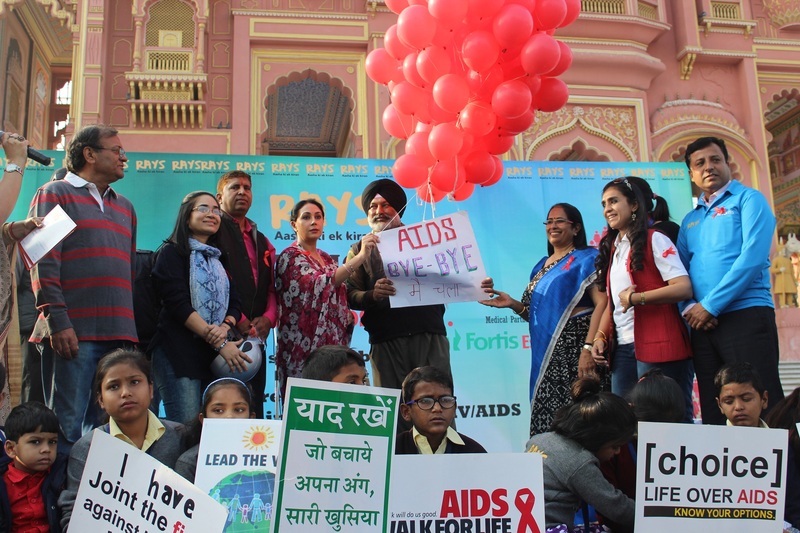 On the occasion Princess Diya Kumari, who is also a Patron member of NGO RAYS-Aasha ki ek Kiran, said that the media should work proactively to create awareness about HIV. The President and Co-Founder RAYS- Aasha ki ek Kiran, Captain Gurinder Virk said that ‘Bikeathon’ is a mega bike rally to empower, strengthen and support HIV + children and adults in the state. He further informed that ‘Bike-a-thon’ is an initiative started by RAYS to bring positivity and to eliminate discrimination and ignorance about HIV.